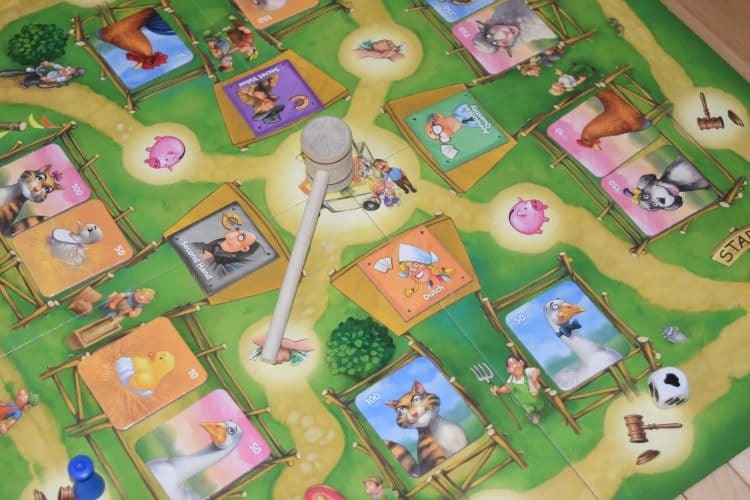 The auction theme, the goofy looking farm animals, and the wood panel box can be easy to overlook with Bidder Up!, which is a shame, because there are several elements of this game that are well worth checking out. Based on the classic 1985 card game, You’re Bluffing!, Bidder Up! is a full fledged board game, bringing in a number of elements that its card game originator doesn’t have. 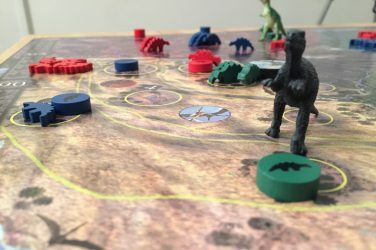 In addition, there are several variants, different modes, and rules alterations in the game to tweak and adjust based on number of players and complexity. The goal of Bidder Up! is to compete in auctions for different types of animals and collect sets. Each set of three of the same animal is worth a certain value to start, and each additional set you get provides a multiplier to increase that value. Players take turns moving around the board, rolling a d3 to move between 1-3 spaces, paying money to move more or less if needed. 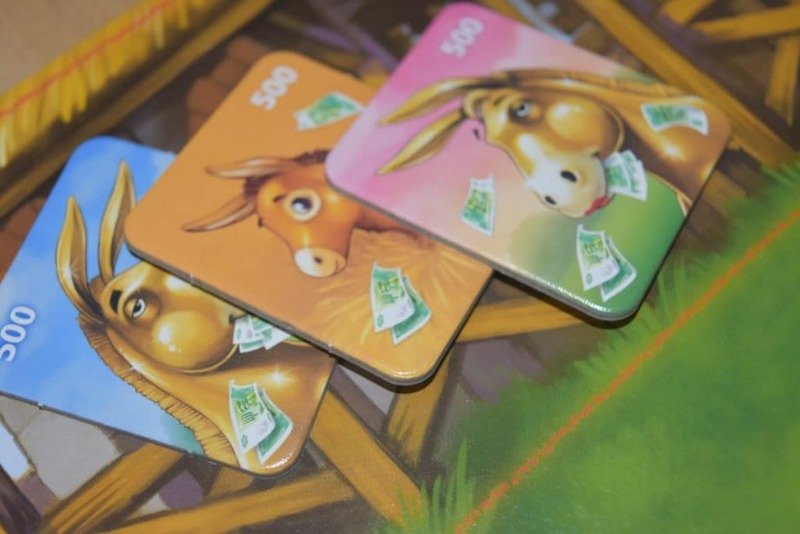 Depending on where they land on the board, players will draw new money cards from the deck, auction animals, adjust the market, or get raffle tickets. 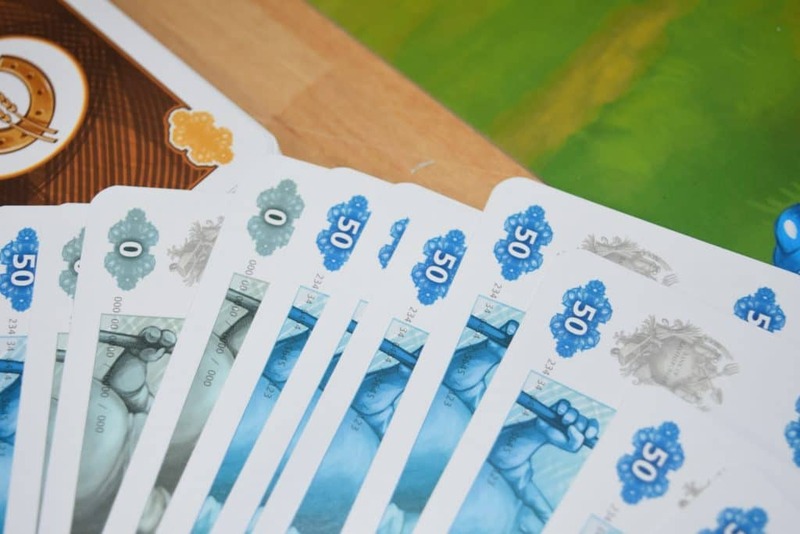 In the basic game, there is no raffle or market board, so the game is almost entirely focused on the auctions, but in the advanced game (which I recommend you start with), you can do much more. 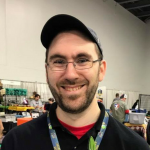 Auctions come in several different variants as well with classic auctions, pig in a poke auctions, dutch auctions, and more to mix up and provide different options as the game progresses. 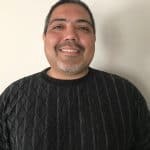 The market adjustments are also particularly interesting because you can change the value of any animal set to as low as $10 and as high as $1,200. 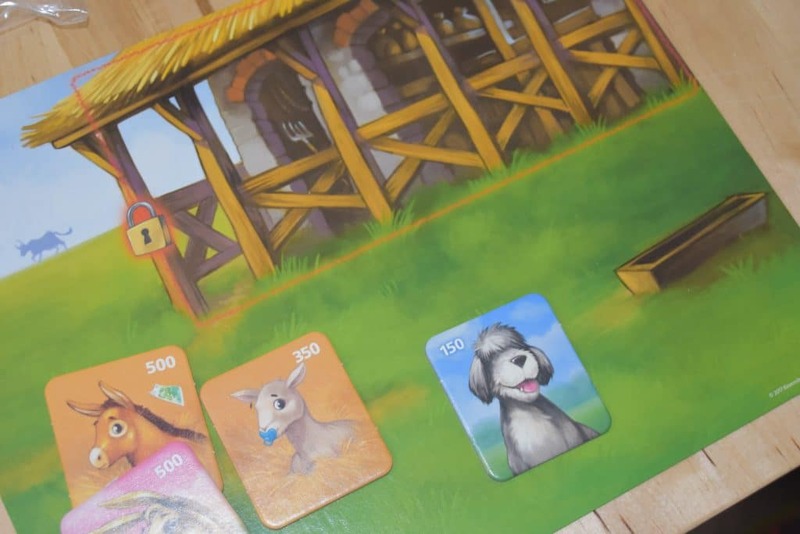 The raffle tickets allow you to work towards getting extra animal tiles, increase the value of certain animals or take extra actions, and the trade action allows you to make offers and take animals from other players. It’s the trade action in particular that is most interesting because you can (and will) bluff your opponent actively when making these trades. When making a trade offer, you will produce face down money cards. The other player can accept them and give you the animal you’re trying to get or they can make a counter offer. The two bids are then compared and the highest gets the animal. As such, there is a tricky bluffing component here that can reward players who are trickier than their opponents. 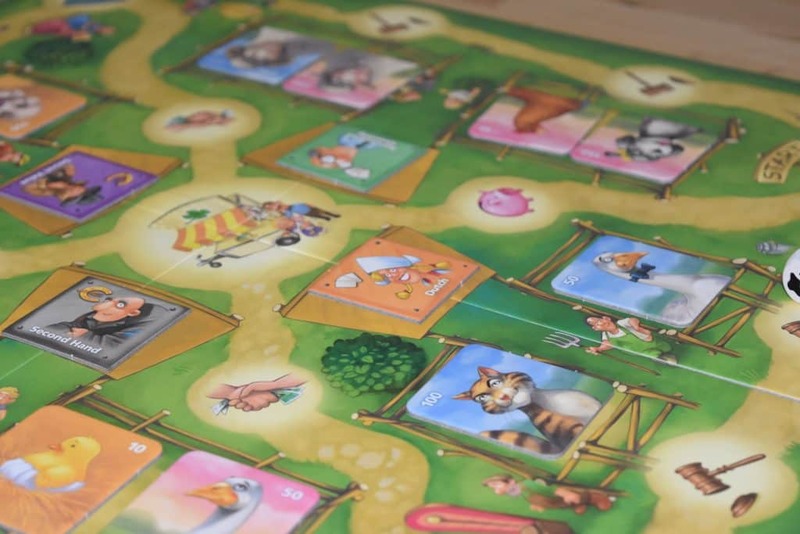 The game can run a bit longer with all the pieces in play, and will end when the raffle tickets are all one or the animals are all auctioned off. What We Like About Bidder Up! Thematically, I’m not a big fan of this type of game. The cover didn’t captivate me at first, nor did the animals, however colorful they might be. So it’s the mechanisms I have to look at to gauge the level of engagement in this game. The combination of several auction types, the integration of modules that can be adjusted based on the number of players or complexity you want to have, and the tricky nature of the bluffing are all fun elements that take the core concept of the card game to the next level. It can be frustrating to see sets you’re working towards drop in value, or have something bought out from under you (especially if they do it for a tiny bid). But you always have the option to counteract these things, and your sets, even when worthless can still be valuable as multipliers. 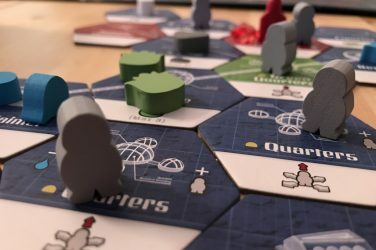 There are multiple levels of strategy here to keep in mind, which is rare in an auction heavy game, and somehow they work together well in most cases. What We Don’t Like About Bidder Up! So what issues does this game have? As I mentioned, I’m not a huge fan of the theme. This is not a criticism, but it’s worth noting because it made it hard to get people to the table for. That said, the frantic nature of the rotating options for auctions more than made up for it when people started playing. The game also runs a bit long at times. In an advanced game with all four players (which is recommended), the game can go longer than the one hour play time on the box. 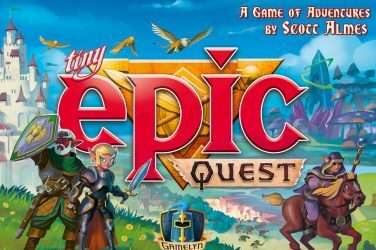 It’s not a big heavy strategy game, but it can go beyond the time slot reserved for quicker filler-weight games. 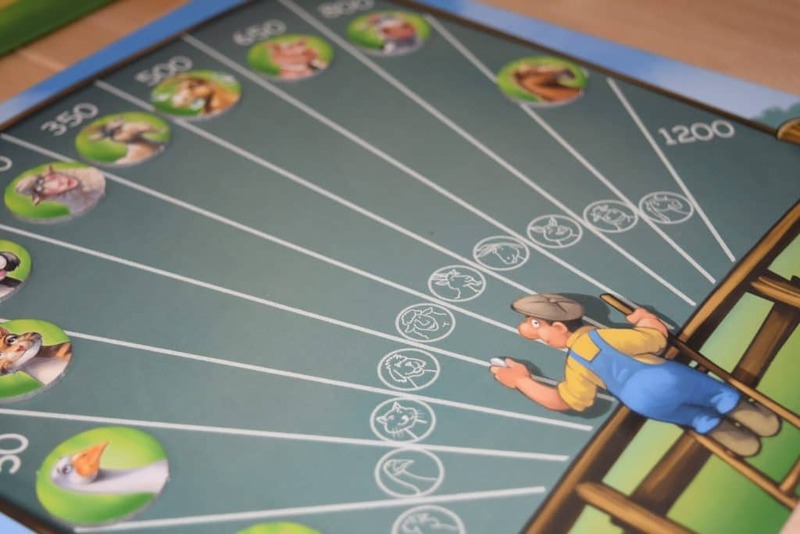 The basic game should be skipped over as well – because it removes the two most interesting components from the game (the market board and the raffle), you’d do better with a card game (such as You’re Bluffing!) at that weight. All this said, Bidder Up! 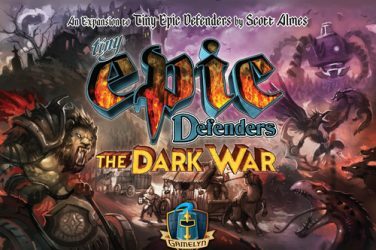 manages to enhance the core concepts of You’re Bluffing!, integrating several different types of auctions and mechanisms for collecting sets and out-bluffing your opponents. 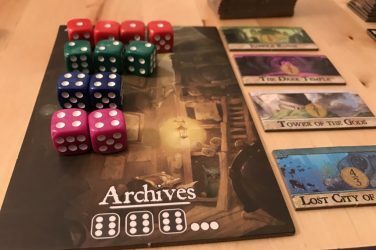 It’s not a revolutionary take on the auction mechanic, but it succeeds in turning the card game into a viable board game, and for the right group, it offers an engaging, if occasionally frustrating experience. Bidder Up! is an effective reimplementation of You’re Bluffing! with enough depth in the advanced game to put it into lighter game night rotations. 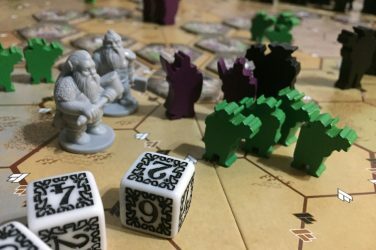 Give it a play to see if it’s right for your group.